The strongest men have always been leaders. They’ve always been competitive and had a relentless drive for success. They are dominant and aggressive. Aggressive behaviour is an in-built animal instinct. It separates those who are passive from those that are dominant. We’ve all got one of those friends that just loves a good fight. Turn your back for a second and he’ll be the one starting a bar room brawl. Has he got the highest testosterone out of all of you? Or has he just got aggression issues? It’s a well known fact that testosterone controls dominant behaviour, but could it also work the other way around? And could fighting itself boost you testosterone levels? If you track back through millions of years of evolution you’ll find one thing in common. Fighting. Not just in humans, but in all animals. Dominant behaviour is a natural method of hierarchy and selection and you’ll find it throughout the animal kingdom. It’s now common belief that testosterone contributes to aggression, dominance and anger . It has a direct influence on the neurons in the pre-frontal area of the brain, and this in turn controls competitive traits, anger, arousal. The higher the testosterone, the more the pre-frontal cortex enhances these characteristics. And research shows that those these characteristics are driven by how high your testosterone levels are. Those with lower levels exhibit more passive characteristics such as defence and lack of competitiveness. And of course all of these behaviours are important in fighting – the ultimate test of dominance. Fighting is a primitive and common social behavior that can boost social rank and increase your chances of attracting the ‘best’ females in your group. It is an important aspectof survival and the preservation of species through reproduction. At face value you might think that aggression is anything but positive. It’s frowned upon in society. But as a man you have an inbuilt desire to show dominance – and if anyone questions it then the fight is on. The problem is that by hiding it you might be missing out on some very specific benefits. “Attenuated residues of these instincts remain in humans, albeit suppressed by familial and social inhibitions, but it still manifests in modified and various forms in accordance with the idiosyncrasy, temperament and the psychological state of each individual” . Society tells us that aggression and dominance are wrong. The law, the rules of social relationships tell us that fighting isn’t necessary. But it’s still there in our psyche – hidden away under the etiquette of modern life. It’s just that some of us hide it better than others. You know this if you’re drawn to aggressive behaviour. 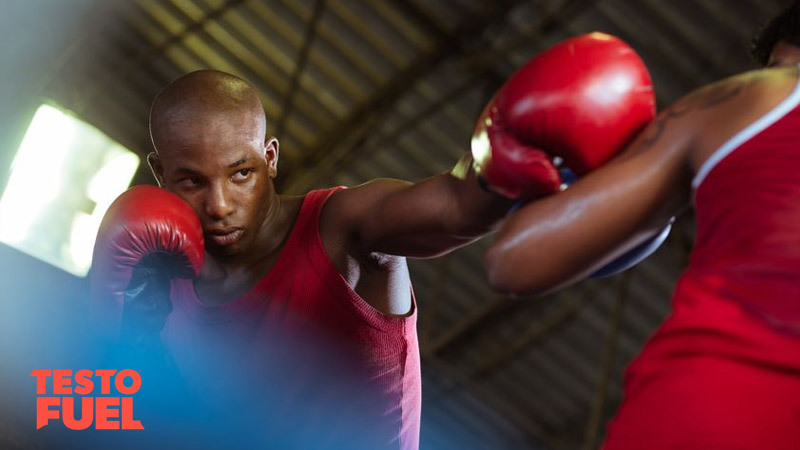 You might not admit it but you’ll probably enjoy seeing a fight – not necessarily taking part maybe, but you enjoy the buzz of the competition. Even the media likes to report sensational and exciting stories of fighting, even if they’d never admit it. Let’s not forget that fighting is about survival. So Does Fighting Boost Testosterone? There’s not a lot of direct research on this subject. Most probably as it’s unethical to get a group of men to fight each other for the sake of science. But fight sports of course help to provide some useful findings. Research on competitive judo shows that testosterone levels are positively linked to competition dominance. Salvador et al  found that in a group of 28 male competitors, those with highest serum testosterone were more likely to fight aggressively. This in turn made them more threatening in the eyes of their opponents and more likely to win. Another study of judo fighters found that in club members, testosterone levels significantly increased after competitive fighting . And a study published in American Psychological Association  found that when 15 male wrestlers had their testosterone levels measured after fighting, their hormone levels went up. Interestingly, winners saw much more of a significant increases compared to losers. In losers, T levels were more likely to go down. 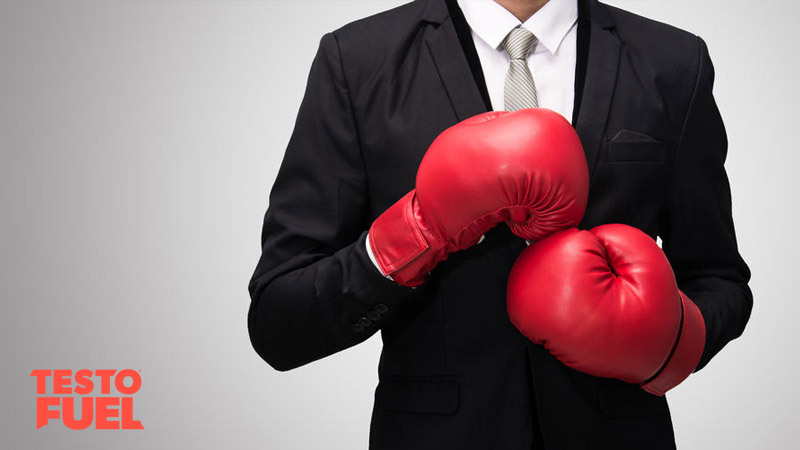 Fighting can go one of two ways – either you win or you lose. And research suggests that this can make a big difference to your testosterone levels. Studies suggest that your testosterone levels will rise before any physical competition – but it’s the result that determines what happens to T levels afterwards. Booth et al  found that after competitive behaviour, testosterone levels were higher in winners than in losers, especially for winners who evaluated their own performance highly. Losers however found that not only did their T levels drop after competition, but that they were lower at the beginning of the next match too – it changed how they behaved not just during, but also after competition! Our heroes are often those that have overcome failure in adversity – in sport, business or any other walk of life. They’ve been knocked down but they repeatedly get back up. And research shows that higher testosterone levels will make you more likely to persevere in the face of defeat. A study by Mehta et al  recruited 64 men and made them take part in a rigged competition. The volunteers didn’t know it but they had no chance of winning. As you’d expect, T levels plummeted in most of the men. What the research team didn’t expect to find though was that in the very few men who’s T levels increased, they were more likely to choose to compete again when compared to losers who’s T levels decreased. So basically, even though they lost, those with inbuilt dominant traits were fired up to compete again – they were winners by nature. 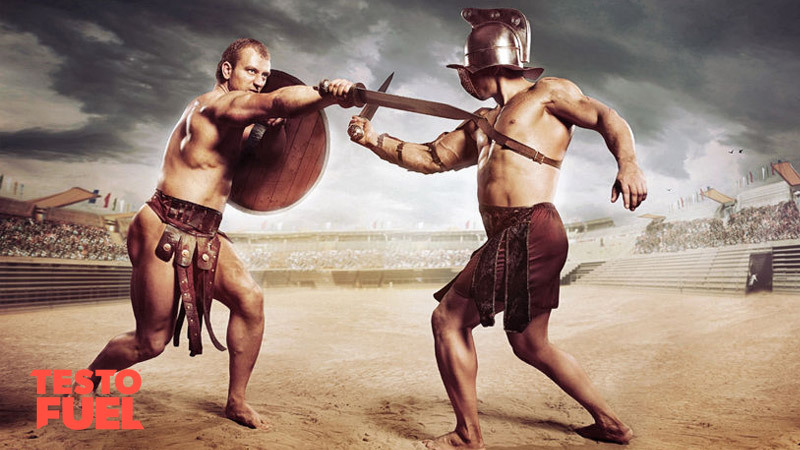 Testosterone changed how they reacted to losing and made them more competitive. Some research has shown that it isn’t only the winning that boosts T levels, but the role that you play too. One study found that the biggest increase in male hormone levels came from those with the greatest contribution to the result had the highest increases . Men have an in-built mechanism for physical competition. And higher testosterone levels amplifies this characteristic. Fighting is one example of a test to your social dominance. Those with higher T levels rise to the occasion – they are aggressive, strong and in control. Those with low levels are not. Are we suggesting that you go out and start a fight? No of course not. 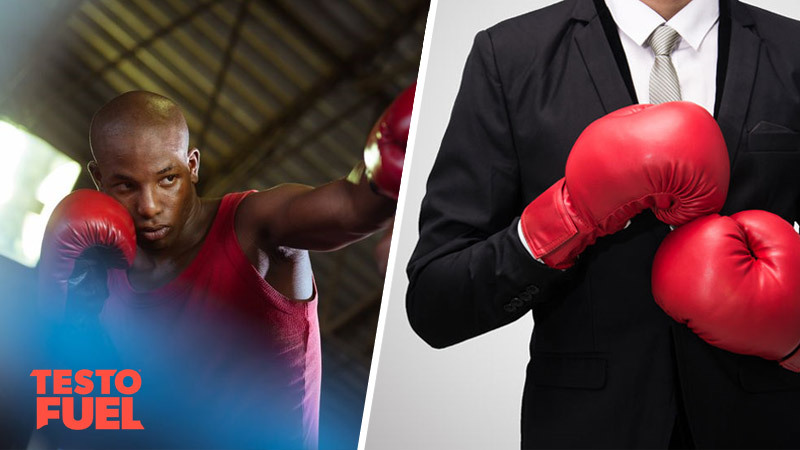 But with the boom in popularity of fight sports, you’ve got no excuse to pick up a pair of gloves and get to it. Do boxers have high testosterone?